Welcome to 513 Main Cross Street in the sought after area of Taylorsville. Being located right in the heart of town makes errands so easy. This historical home was built in 1945 but when purchased by the current owners in 2002, they spent the first five years making this property very desirable. The main house is beyond spacious with over 2,500 sq ft of openness. This 3 bedroom, 2 full bath home has been very well-maintained. The living room and dining room both have electric fireplaces. The master bedroom has a handicap shower with a room that can be used for many things like an office, nursery or even make it a walk-in closet. The 3rd bedroom upstairs is the size of 2 rooms with 2 closets and has its own HVAC unit.The kitchen has plenty of cabinets and beautiful backsplash for the perfect touch. 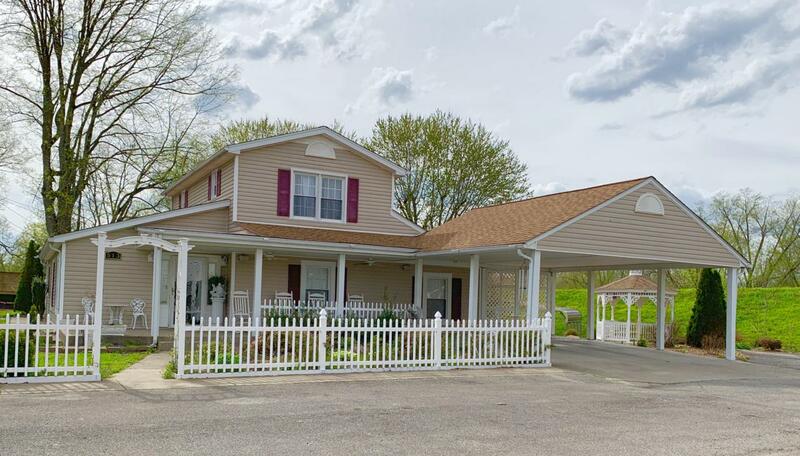 This home includes a 2 car carport. The second home is a duplex with 2 apartments A & B that is rented out. A is a 2 bedroom, 1 bath. B is a 1 bedroom, 1 bath. Also includes a 2 car carport. Next is a manufactured home that has 2 bedrooms, 1 bath with many nice touches that has been added. Also includes a 1 car carport and a storage shed attached. This is rented out as well. Then there is a 40 x 60 garage that can hold up to 9+ cars, half-bath, work room and lots of storage area above. And how exciting is it to have an above ground pool for summer fun. There is a yearly flood wall tax of $130.00. Spectrum high speed internet is available per seller. This property is a must-see! !